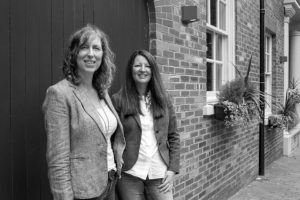 Tracy and Julia met in Birmingham’s Jewellery Quarter back in 1989, when, aged only 16, Julia had moved from Cornwall and started work with Gold Bullion company Metalor. Tracy immediately took Julia under her wing, becoming a lasting sister figure and friend, a friendship now of some 27 years! Throughout the years there has been part time pub jobs, children, husbands, changes, shared houses, travels, lots of fun and most of all an enduring sense of a strong partnership. Tracy ran two of her own businesses whilst her boys were small, so it made sense, when in 2009 Julia left her comfortable employed existence, to start a business, that the duo pooled their ideas and resources and grew Cre8 together. They haven’t looked back! Cre8 began in 2010 and in 2011/12 the duo decided to embark on an adventure of personal development, wanting to transform and remove any limiting beliefs or blocks to their success. It has been an amazing journey covering emotional intelligence, retreats, reiki, philosophy, meditation, affirmations and LOVE – lots of it. Love and a real desire to help others is firmly rooted at the core of Cre8 and all of our services. It’s an interesting way to be in the world of sales, a little bit different and perhaps a bit quirky….we like to think we’ve always got your best interests at heart; Your achievements are ours. we genuinely want to make a difference and regularly support charitable organisations and local causes.